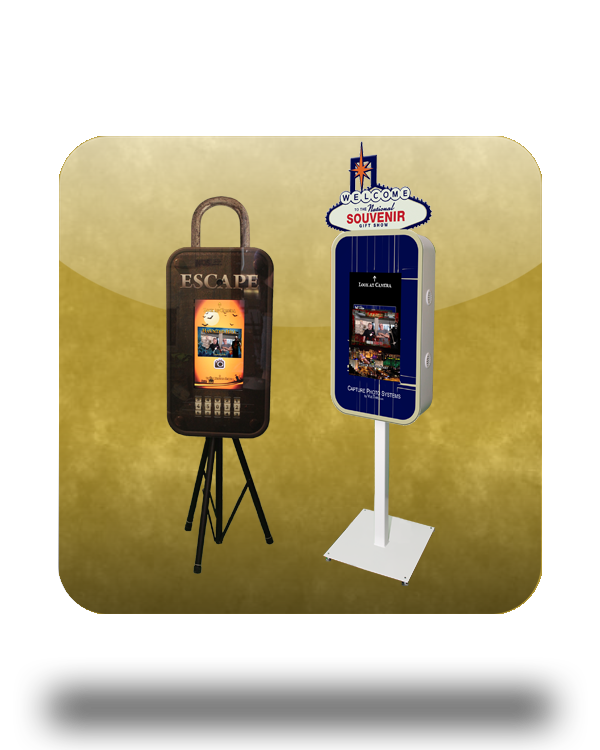 SocailVue Portable Social Media Photo Booth System with Custom Changeable Branded Acrylic Face for Capturing Photos. * Windows 10 Touch Screen Laptop with Hi Def 1080 webcam. * Custom Black or White Metal Cabinet and Stock Printed Acrylic Face with Wall Mount Bracket. * Live2Social Software for Standard Photos.